Does not include items in show bags. 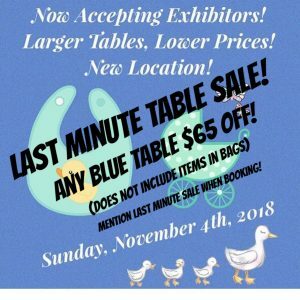 Must mention last-minute sale in comments when booking table. Offer ends Friday, November 2nd. Book a BLUE table Now!